Potteryland is a great place for a field trip. Your participants will love you for it! Pre-schools, after-school, summer and enrichment programs will all enjoy great field trips to Potteryland. We have made it easy, fun and affordable. Enjoy great pricing with a minimum of 12 painters. Special pricing for large scale groups will make you feel really lucky! Paint & decoration tools, glazing & firing. 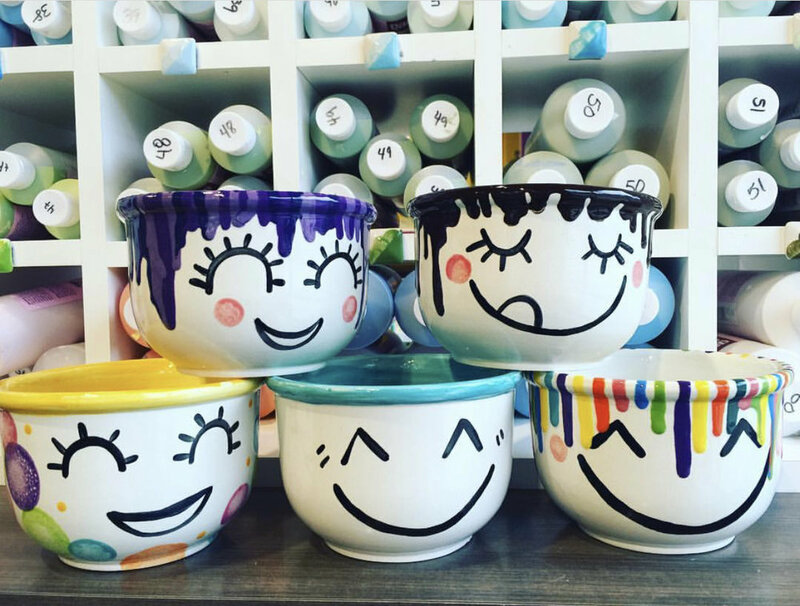 Painters will enjoy personalizing their own functional piece of art! This package includes assorted bowls, mugs and salad plates. These pieces are best sellers at the studio since they are super easy to work with and the design possibilities are endless. Painters will be provided with sponges, tape, pencils and different tools so they create a lovely piece! $25 non-refundable deposit is required to hold your time slot. The remaining costs will be paid in the studio the day of the event. Deposit will be applied towards the balance of your fieldtrip. This package is full great options! 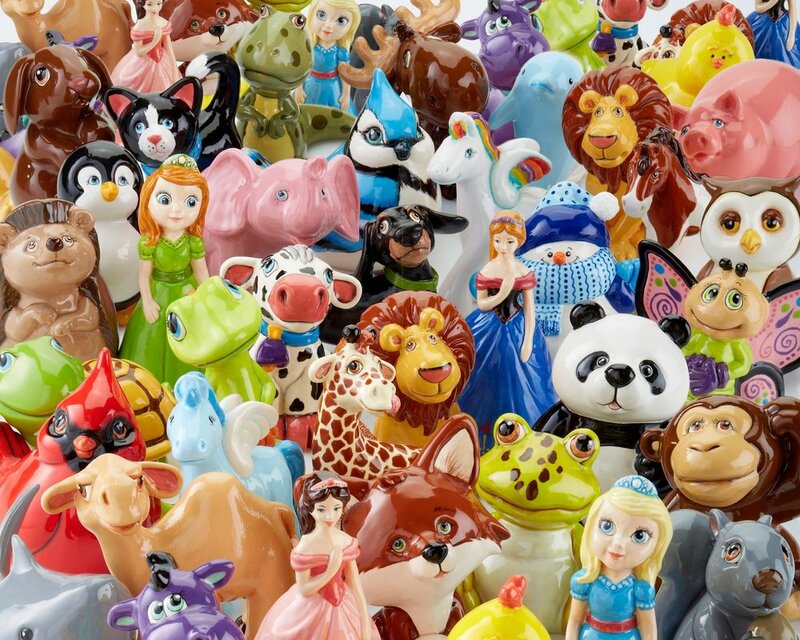 There are over 20 different best selling figurines for kids to choose from. Popular pieces for both boys & girls. Get ready to have fun in any place at any time! We’ll provide everything you need to have an artistic adventure anywhere you choose! Visit Potteryland Studio to choose your pieces. The cost is $2 per painter plus the price of pottery. $25 non-refundable deposit is required to hold your time slot separate from the materials deposit. The remaining costs will be paid in the studio the day of the event. Deposit will be applied towards the balance of your fieldtrip. We bring the goods to you! Pre-schools, after-school, summer and enrichment programs will all enjoy a great field trips visit from our friendly staff to your location. This package includes a themed figurine based on a consultation with you. We provide pieces that are best sellers at the studio since they are super easy to work with and the design possibilities are endless. Painters will be provided with different tools so they create a lovely piece!